POPE STREET RESERVE IS conceived of as a COLLECTIVE SET OF HOMES to be BUILT IN ST HELENA, NAPA Valley. This is AN ESTATE SETTING, WHERE WALKABILITY, COMMUNITY, common space, AND convivial events are the order of the day. THE RESERVE is planned to BE Built with THE FINEST QuaLity materials allowing residents to be surrounded by landscaping and dwellings THAT nurture both emotionally and aesthetically. POPE STREET RESERVE IS SITUATED directly ACROSS from A PARK AND IS A short WALK TO the MAIN STREET of ST. HELENA. THE front of the property is defined By a hand built STONE WALL LINED WITH OLIVE TREES and lavender. The centerpiece of the planned community is A TOWER FROM THE 1800'S THAT infuses the project with a sense of history and place. The main (pedestrian) entrance to tHE PROPERTY would be THROUGH A small gate cut into the stone wall leading to a FORMAL allée of OLIVE TREES. Alongside THE Allée, A LONG FOUNTAIN would BE available to dip one's feet into and cool OFF DURING THE HOT SUMMER MONTHS. THE PROPERTY would INCLUDE A COMMON HOUSE, to Be comprised of A DINING Room with a long table ; AS WELL AS A gourmet chef's KITCHEN. THE SECOND FLOOR is designed with \GUEST BEDROOMS AND common spaces FOR YOGA, POTTERY, music, READING or whatever THE COMMUNITY may DECIDE on as their most fulfilling uses. THERE are three BUILDINGs proposed; 'the gatehouse' is designed with 3 units one of which comprises a common use ground floor with guest bedrooms and open kitchen/dining/living room, 'The barn' is designed with 7 UNITS, ROUGHLY 1000 SQ FT EACH WHILE THE "Main House" would HOLD 14 UNITS, RANGING FROM 500 TO 850 SQ FT. THE Main House could INCLUDE A LIBRARY AND Wine room. By signing up above, we will only use your email address to communicate details about the development. This does not sign you up for the development. We never share any personal information with outside parties. MEET STONINGTON COX ("STONEY"), THE ORIGINAL BURNING SOUL BEHIND THE POPE STREET RESERVE. STONEY HAS HAD A DEEP INTEREST IN COHOUSING AND COMMUNITY LIVING SINCE 2001. AT THAT TIME HE BEGAN TO DREAM OF BUILDING AN ESTATE ONE DAY FOR FRIENDS AND FAMILY WHERE THE COMMON SPACES COULD BE SHARED TO CREATE A MORE EFFICIENT AND MORE FUN PLACE TO LIVE WHERE SPONTANEOUS COZY COCKTAILS AND large DINNERS SHARED AMONG FRIENDS AND NEIGHBORS WOULD BE THE NORM. THIS DREAM HAS BEEN AUGMENTED BY PRACTICAL SKILLS GAINED THROUGH A CAREER IN REAL ESTATE and finance IN NEW YORK, HONG KONG, AND NOW SAN FRANCISCO. HE ALSO HOLDS DEGREES FROM GEORGETOWN UNIVERSITY, COLUMBIA UNIVERSITY, AND INSEAD IN FRANCE. MEET GRETCHEN KIMBALL, THE LANDSCAPE DESIGNER FOR THE PROJECT! A NATIVE OF NAPA VALLEY, SHE HAS DEVOTED HER LIFE TO INTENSIVE INTERNATIONAL STUDY OF THE FINE ARTS. GRETCHEN HAS HER BFA IN PAINTING FROM THE SF ART INSTITUTE AND STUDIED LANDSCAPE DESIGN AT BERKELEY EXTENSION. SHE HAS ALSO HELD THE POSITION AS HEAD GARDENER FOR THE NAPA VALLEY RESERVE FOR 3 YEARS. SHE IS NOW FREELANCING. 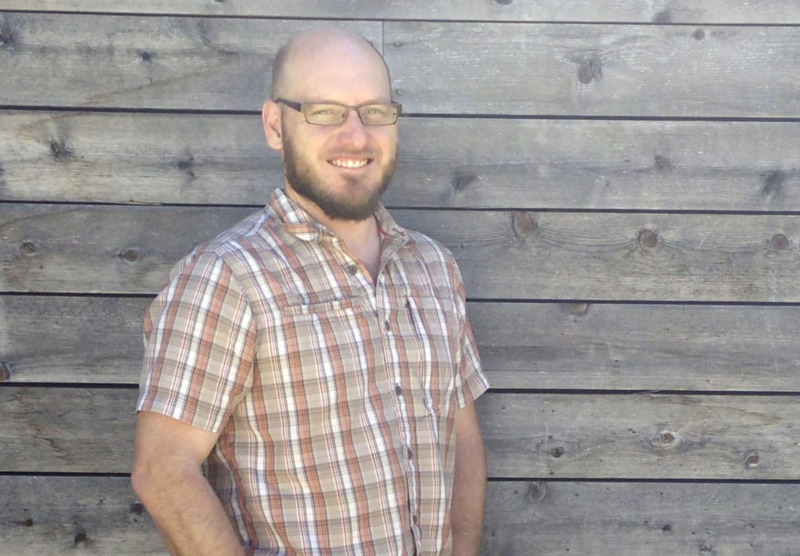 MEET BRYAN BOWEN, ARCHITECT, COHOUSING NERD, AND SUSTAINABLE COMMUNITY DESIGNER. BRYAN GREW UP IN A PASSIVE SOLAR HOME IN AN ARTISTS’ COMMUNITY AT THE FOOTHILLS OF THE SANDIA MOUNTAINS OF NEW MEXICO. BRYAN HAS BEEN DESIGNING COHOUSING COMMUNITIES SINCE 2000. HE GRADUATED FROM CARNEGIE MELLON UNIVERSITY AND FOUNDED CADDIS, A MULTIDISCIPLINARY DESIGN COLLABORATIVE THAT EXPLORES HOW WE MAY LIVE MORE LIGHTLY UPON OUR EARTH IN BEAUTIFUL AND HEALTHY ENVIRONMENTS. BRYAN LOVES LIFE IN COHOUSING AND IS ENJOYING THE SIMPLE BENEFITS OF COMMUNITY – FRIENDS RIGHT OUTSIDE THE FRONT DOOR, CASUAL INTERACTIONS, GREAT FOOD, AND A RICH LIFE FOR HIS KIDDOS. Follow us on Facebook to stay informed. Visit Pope Street Reserve's profile on Pinterest.